Tickets are available now to experience the majesty of The Lion King at the Minskoff Theatre on Broadway. Often credited as the show that brought critical acclaim and credibility to Disney Theatrical within the Broadway community, Disney’s The Lion King roared onto the scene in 1997, just three years after the release of the animated classic. Since then, the musical has become the highest-earning title in box office history… period. And that accolade includes all titles from both worlds of theatre and film. Beginning previews at the New Amsterdam Theatre on October 15, 1997, and official opening on November 13, the musical transferred to the Minskoff Theatre on June 13, 2006. The successful re-imagining of The Lion King on stage is largely thanks to the creative genius of director and costume designer Julie Taymor. In 1998, she was awarded two Tony Awards in those respective categories, as the production itself picked up a total of six Tonys, including “Best Musical”. Her costumes brilliantly incorporate various theatrical traditions of puppetry and head-dresses to portray the animal character each actor represents, whilst never hiding the actor’s actual face. They are highly detailed, merging textiles and fabrics with elements of African traditions and customs and could be considered as one of the main contributing factors to the stage adaptation of The Lion King becoming its own prized entity, no longer dependent on the popularity of its source material. Speaking of which, all the beloved songs from the animated classic are in fine form in the musical. Those Elton John and Tim Rice numbers include “Circle of Life” (the iconic opening to the show), “I Just Can’t Wait to Be King,” “Be Prepared,” “Hakuna Matata,” and “Can You Feel the Love Tonight?” They are joined by a host of additional songs from the likes of Lebo M, Hans Zimmer, Mark Mancina and Jay Rifkin, such as “They Live in You,” “Shadowland,” and “Endless Night,” which have become equally as adored over the years and just as significant. 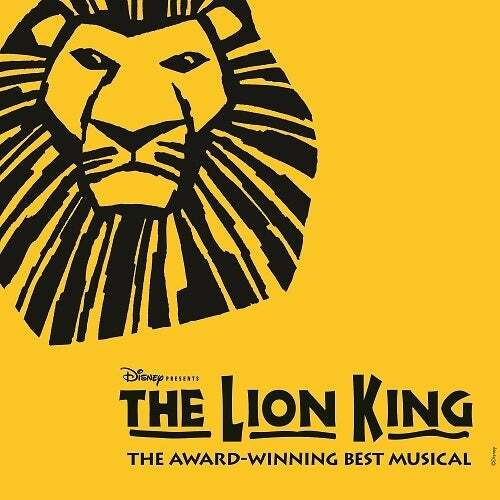 The Lion King is the perfect introduction for younger family members to the wonders of live theatre, whilst its themes and stylistic maturity are timelessly appropriate for theatregoers of all ages. So why not join the circle of life and find out for yourselves why The Lion King remains the pride of the Disney Theatrical catalogue? The Lion King follows the epic adventures of a young lion cub named Simba as he struggles to accept the responsibilities of adulthood and his destined role as King of the Pridelands. Disney Theatrical's landmark long-running musical The Lion King welcomes back Syndee Winters this week, as she reprises the role of Nala at the Minskoff Theatre. Former cast member Adrienne Walker exited the production on December 30 and is set to appear as Hattie in Roundabout Theatre Company's upcoming Broadway revival of Kiss Me, Kate! at Studio 54. This past Sunday, Disney Theatrical celebrated a landmark achievement of its landmark musical with the 20th Anniversary Gala performance of The Lion King at Broadway's Minskoff Theatre. To mark the occasion, the original creative team including its Tony Award-winning director and costume designer Julie Taymor, lyricist Sir Tim Rice, composers Lebo M. and Sir Elton John, were all invited to attend. 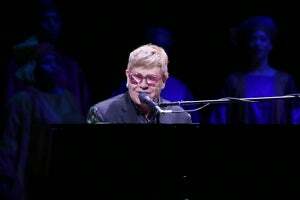 The lucky attendees even had the good fortune to experience Sir Elton gracing the stage at the curtain call to give his own rendition of "Circle of Life", accompanied by the entire cast.